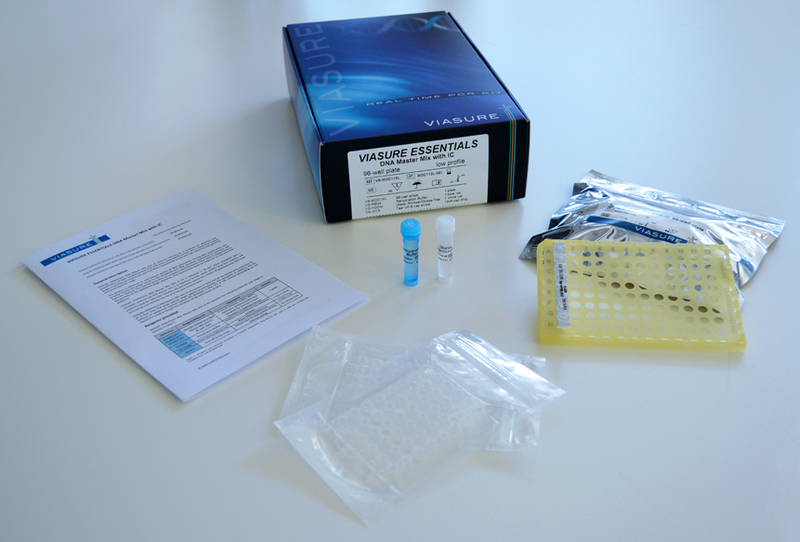 VIASURE® Master Mix Kits are designed for Conventional PCR, Real Time PCR, Sequencing, etc. It is a ready-to-use RNA/DNA Master Mix kit that contains in each well all the necessary components for retrotranscription and/or amplification reactions. Primer/probes and template are the only additions necessary to perform PCR. The kit streamlines the PCR workflow by not requiring individual adjustments in the composition of the included reagents, with less pipetting, reduction in contamination and more reproducible results. · Long life: transport and storage at room temperature. Shelf life: 24 months. · Flexible: it can be adapted to a high number of commercial thermal cyclers. · Quality: each kit is tested andvalidated according to ISO 13485.